My art is about touching people, creating something that brings the viewer to a place, real or imagined, of peace and tranquility, playfulness or curiosity. When I paint I try to capture a feeling. That feeling may be nostalgia, serenity, comfort, happiness, curiosity, wonder … creating art that allows the viewer to momentarily forget everyday stress and escape to another place. Working primarily in oils, but also in acrylics, my technique is rooted in a love of impressionism and its exploration of color and light, with a strong leaning towards realism. I find the level of detail I put into a painting reflects my desire to capture what I see and feel, while keeping an impressionistic element that allows for emotional exploration and interpretation. My inspiration is the outdoor world around me. 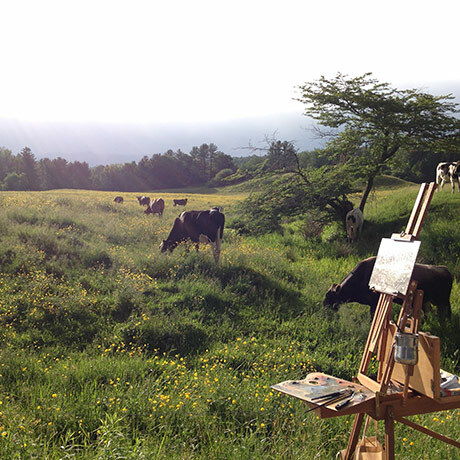 I fell in love with my home state of Vermont and it has become my primary muse. My paintings may capture a mood, or an interesting object, a pattern of light and color. It may be the way light falls, shadows are cast, the landscape unfolds, or colors harmonize. Its whatever moves me. I hope to express that emotion that drew me to the subject, sharing it with the viewer, while allowing them to experience their own reaction and interpretation. 1960 Born, in Plymouth, Massachusetts. Currently resides in Essex, Vermont. Born in Plymouth Massachusetts in 1960, Tom Waters is an emerging artist working from his current home town of Essex Vermont. Art was always a part of his life, including painting lessons while in high school, art classes in college and private exploration. In his twenties and thirties his career involved technology management. He graduated from the University of Massachusetts with a Bachelors Degree majoring in Computer Science. Subsequently he worked in technology management for 15 years, and then returning to college to get his certificate in graphic design from Champlain College in 2000. The turn to graphic design in his forties was driven by the desire to engage in more artistic expression. Soon after turning 50 he made a serious commitment to fine art through painting. Initially self-taught, Tom was influenced by a range of artists from the Impressionists, particularly Monet, to contemporaries like Andrew Orr, Mark Boedges, and many others. He furthered his training by attending workshops by, or painting with, celebrated artists Aline Ordman, Becky Joy, Mark Boedges, Andrew Orr and Carolyn Walton. He continues working with Andrew Orr for his ongoing artistic development. 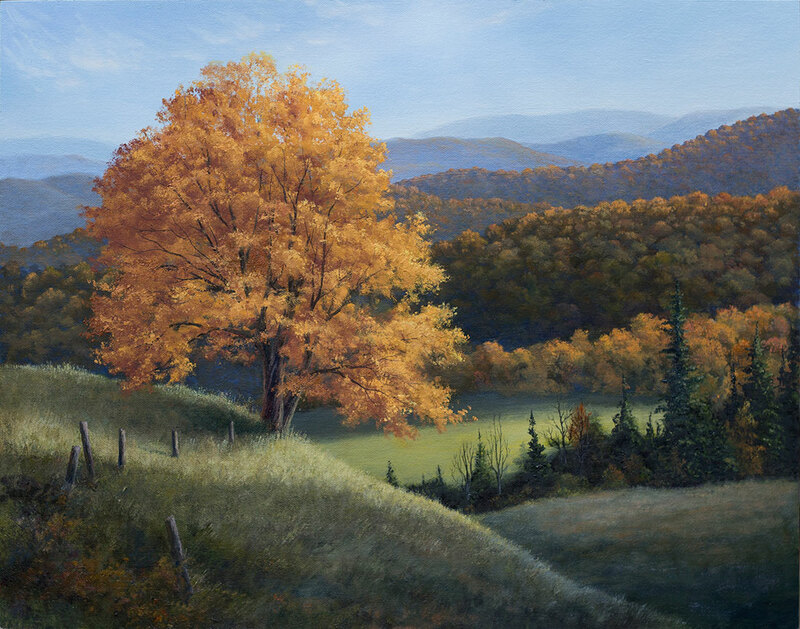 Tom’s work has been displayed at area gallery shows, including at Bryan Memorial Gallery , Emile A. Gruppe Gallery, Visions of Vermont, and Grand Isle Artworks; and includes acceptance into numerous juried shows. 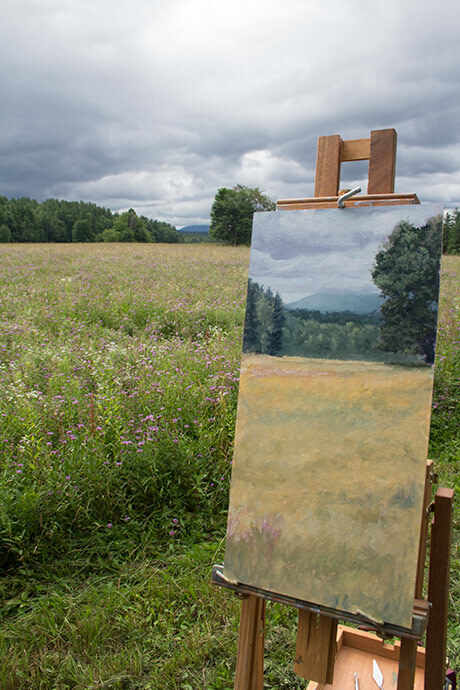 His work has also been included in many group exhibits throughout Vermont. Tom’s work has made its way into a number of private collections. 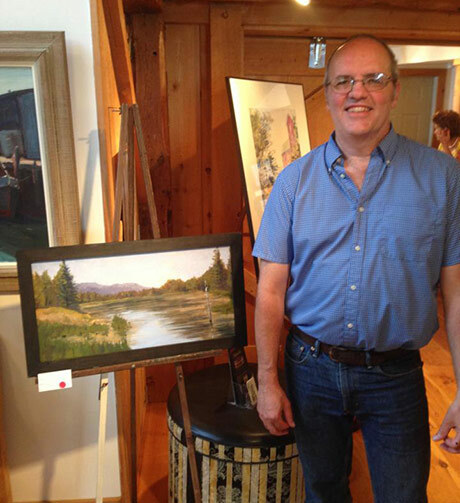 Tom is a member of the Essex Art League, and Northern Vermont Art Association. Tom is currently building his body of work while simultaneously taking private commissions.